We are conducting research at the intersection of nuclear physics and other related fields like astrophysics, atomic physics, plasma physics, and solid state physics in particular. So far, nuclear reactions have been regarded as isolated processes. Impact from the environment has been seen as negligible or as a trifling disturbance. However, several measurements show that the environmental influence can be significant on radioactive decays as well as on nuclear reactions. The investigations of the members of this institute yield that solid matter can modify the order, scale, and products of nuclear reactions in a massive manner. The goal of the institute is to continue this research to identify the underlying mechanisms, to quantify them, model them, and, as far as possible, put it into new technologies. View into the newly developed IFK high-pressure deuterizer. 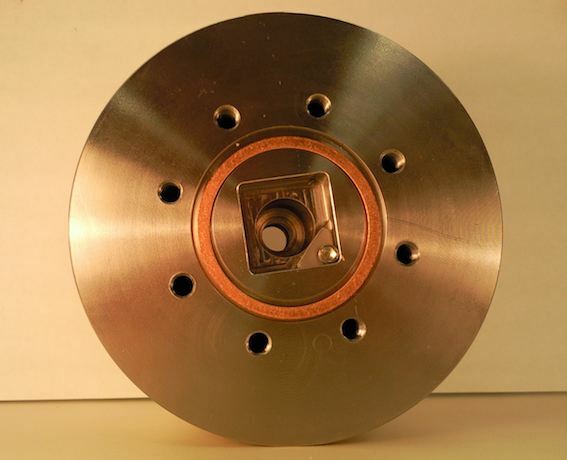 The device has been developed to squeeze heavy hydrogen under a pressure of up to 1000 atmospheres into a storage metal like Tantalum or Aluminium. If necessary the metal can also be heated to further increase the final hydrogen density.